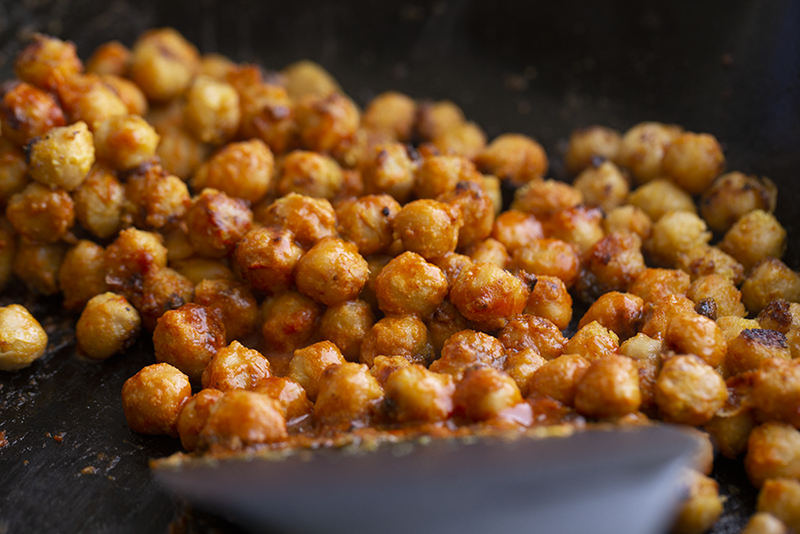 These Buffalo Chickpeas are spicy and tender with a textured, bold coating over top. The edges are caramelized and lovely, freshly served from a steaming hot skillet. 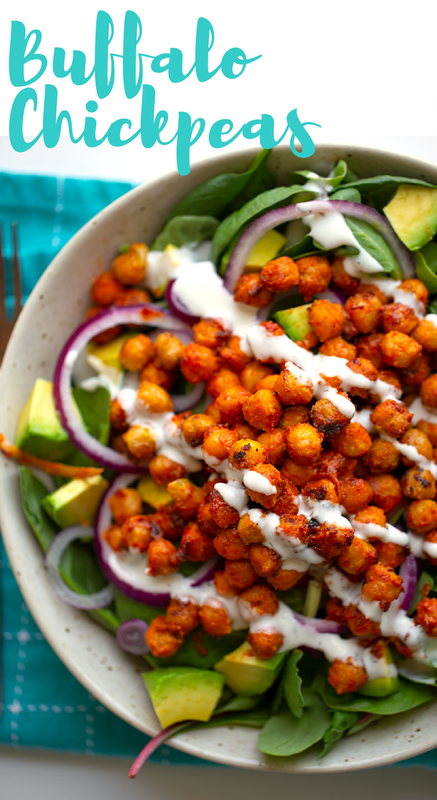 Eat these bright red morsels all on their own or serve with vegan ranch and avocado for an amazing salad. These would also pair really well with quinoa or rice. Or stuffed inside a wrap or pita! So many possibilities for these gorgeous gems. I will definitely be making these again and again..
..the texture of these was exactly what I wanted! The nutritional yeast gives an almost breading-like texture. Just like a cauliflower buffalo bite might have. Hope you guys have some lovely plans this weekend! 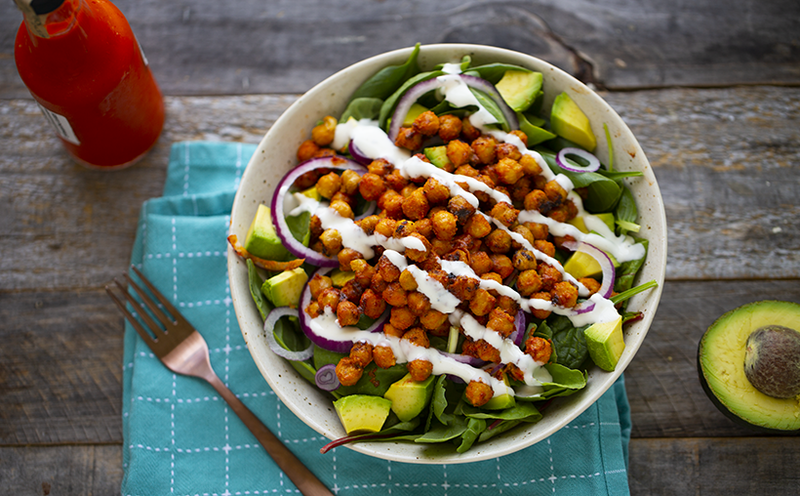 If you need a little cooking inspo, put these chickpeas on your to-do list..
Buffalo Sauce Cravings. 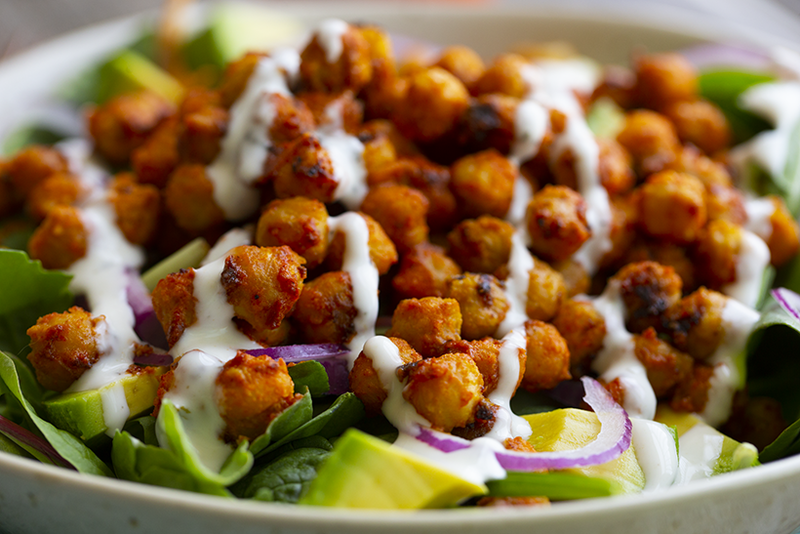 I have been really obsessed with buffalo cauliflower bites lately. 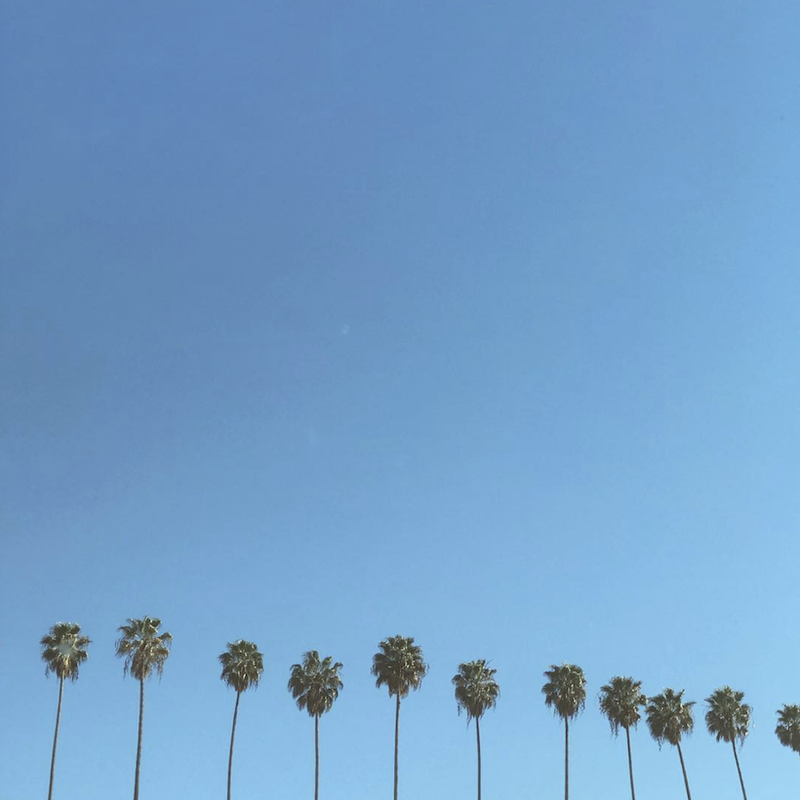 There are a few spots around LA that make them soooooo good. Sage, Erewhon and a few others too. 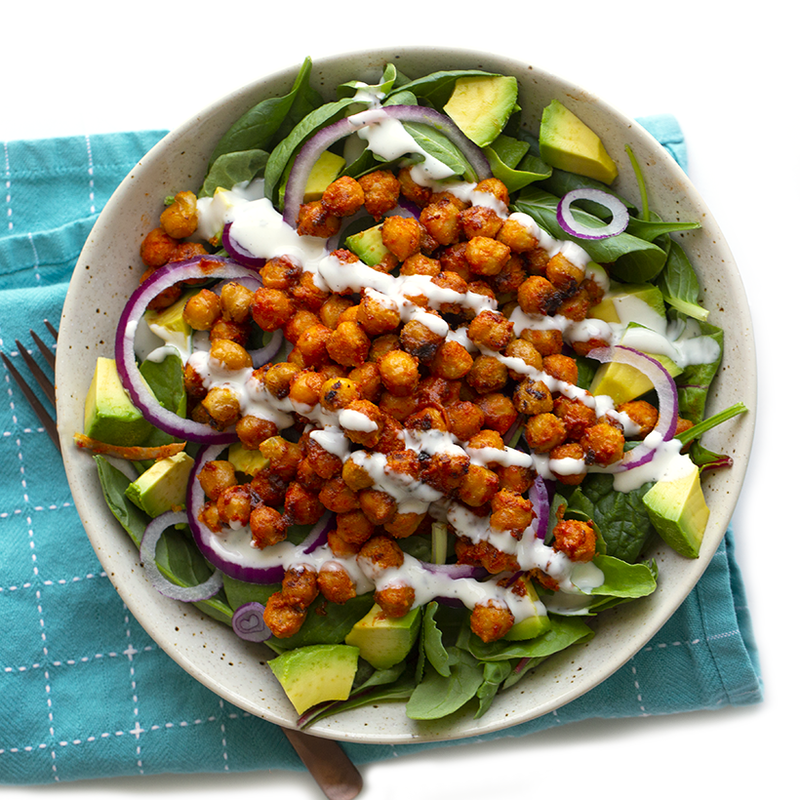 Veggie Grill has yumym buffalo wings too made using seitan-type ingredients. But really, I just love buffalo sauce coating. Spicy, kinda sweet and with a bit of texture. 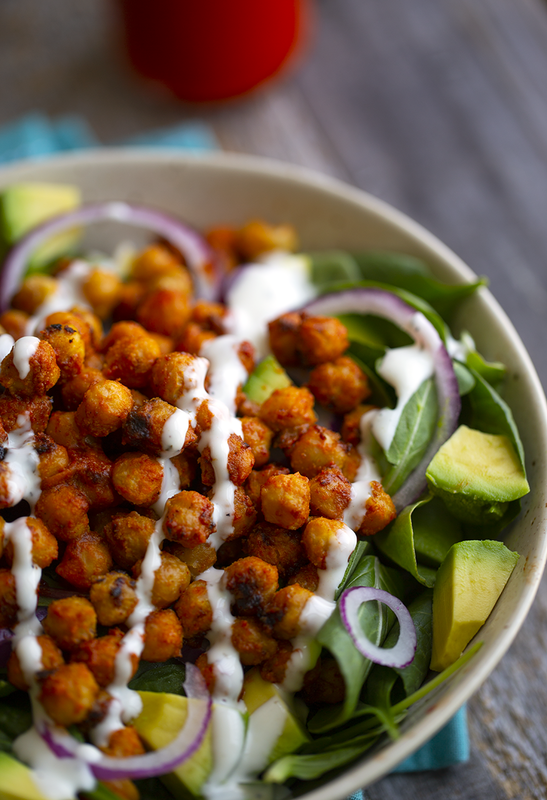 So I decided to whip up some skillet chickpeas today, a la buffalo sauce! 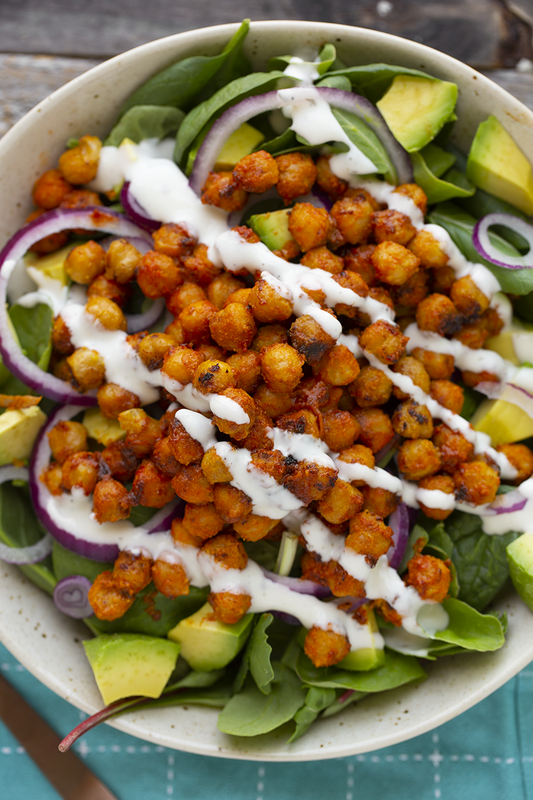 Ranch Dressing is the perfect addition to a salad featuring these chickpeas. You can buy one from the store or make your own. Here are a few options..
Side note! 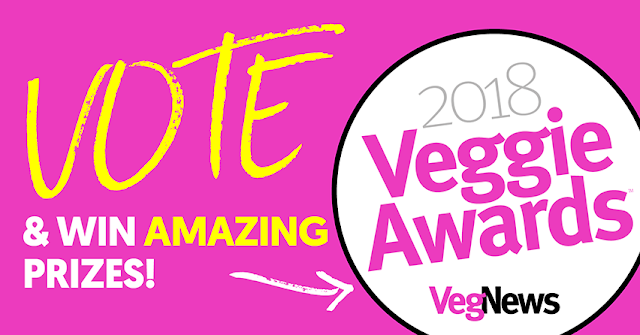 I am so honored to be nominated for 'best blog' again in the Veggie Awards. I have never won and I don't really expect to, haha, but even still I would SO appreciate your vote if you love what I have been doing here on HHL for over ten years! Thank you for being here. Oh and when you vote, you are entered to win some cool prizes. PS. 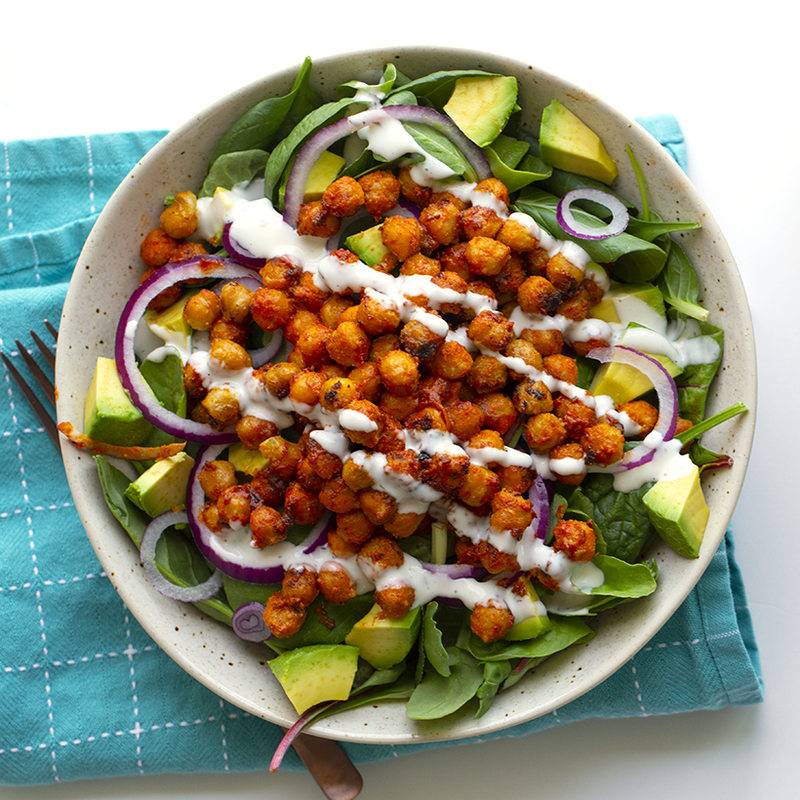 There are indeed so many amazing vegan blogs out there these days. If you ever want to discover a few of them, browse my other site, FindingVegan.com. So much talent over there! I'm sure VegNews wishes it could nominate hundreds of blogs. Seriously. 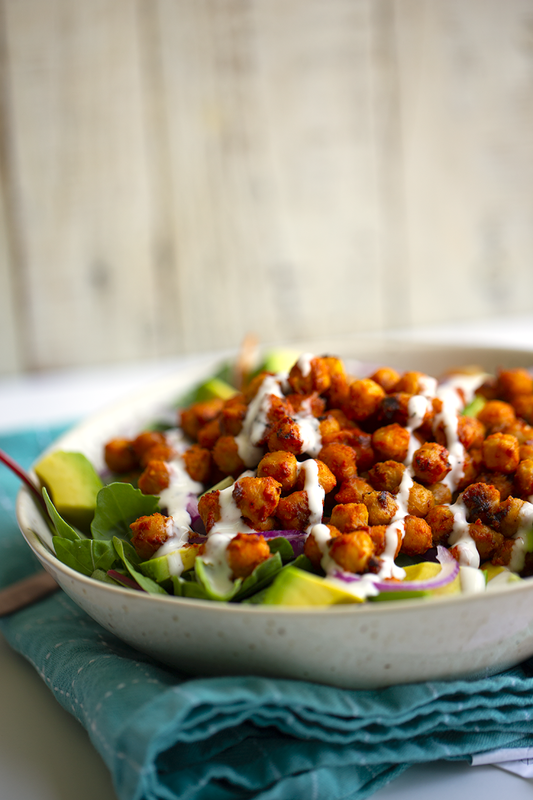 These spicy and textured chickpeas are coating in buffalo sauce goodness. 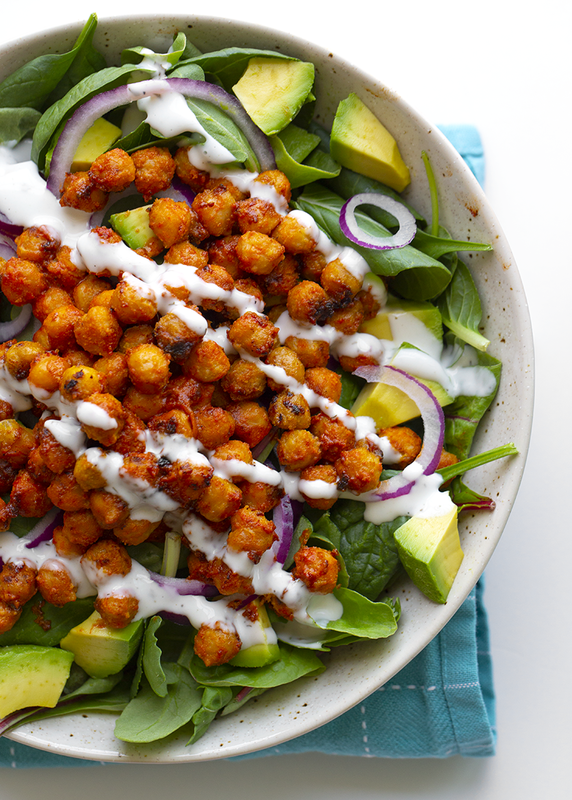 Serve over a salad or rice or eat as they come! Warm a large skillet over high heat. When skillet is warm, add the oil and chickpeas. 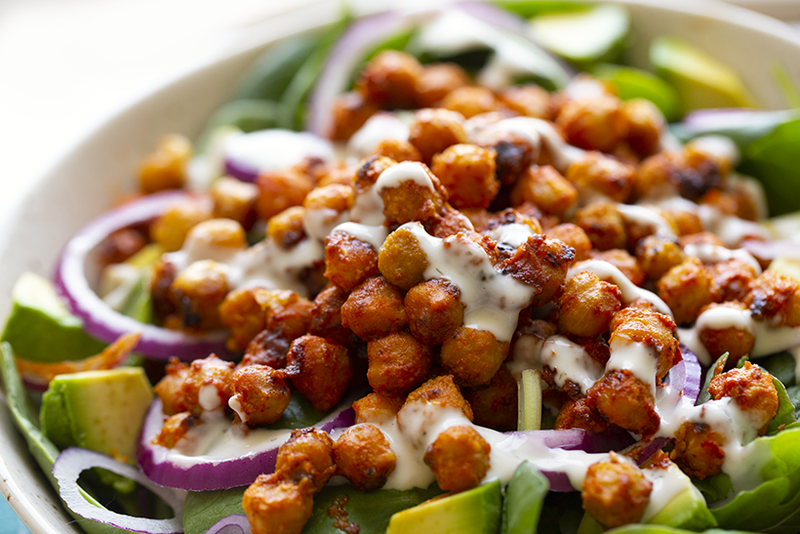 Cook for 2-3 minutes, until the chickpeas start to brown a bit. A minute into cooking, add in the vegan butter. Stir well to coat chickpeas in the oil/melted butter. 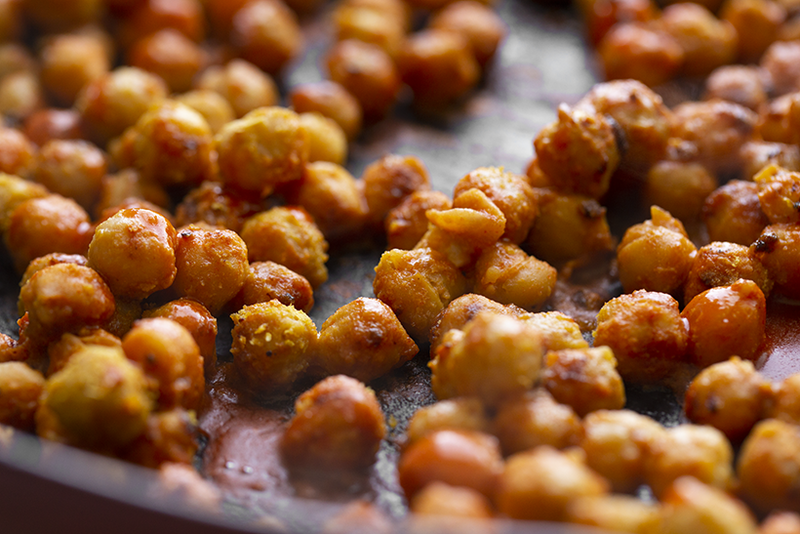 When chickpeas are looking a bit browned you can add in one tablespoon of the nutritional yeast - sprinkle evenly over top. Then add in the maple or agave syrup. stir a bit. Turn heat to medium. Add in the other tablespoon of nutritional yeast and pour all the hot sauce over top. 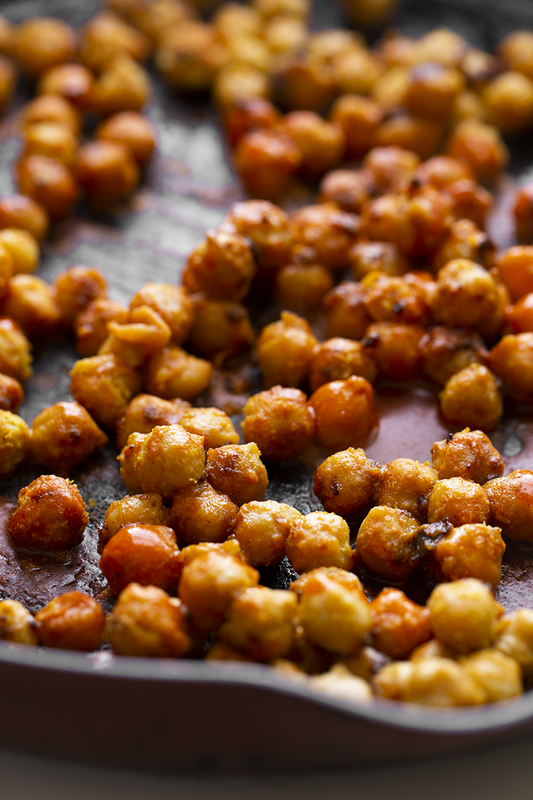 Toss chickpeas gently so that they are all coated in sauce and nicely textured from the nutritional yeast too. Turn off the heat. Allow them to sit in the hot pan for about 2-3 minutes to rest before serving. Optional: Add salt and pepper, smoky paprika and cayenne to taste.